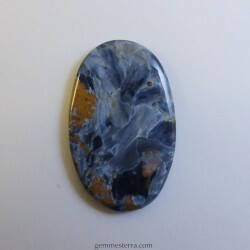 PIETERSITE There is 1 product. Pietersite. Oval cab. No treated. Size: 38.5x24x4mm. Weight: 6.70gr.